This Haute Couture Season Jean Paul Gaultier got inspired in the theme of brides, each of the 70 looks names where inspired on marriage in some way (post to come). 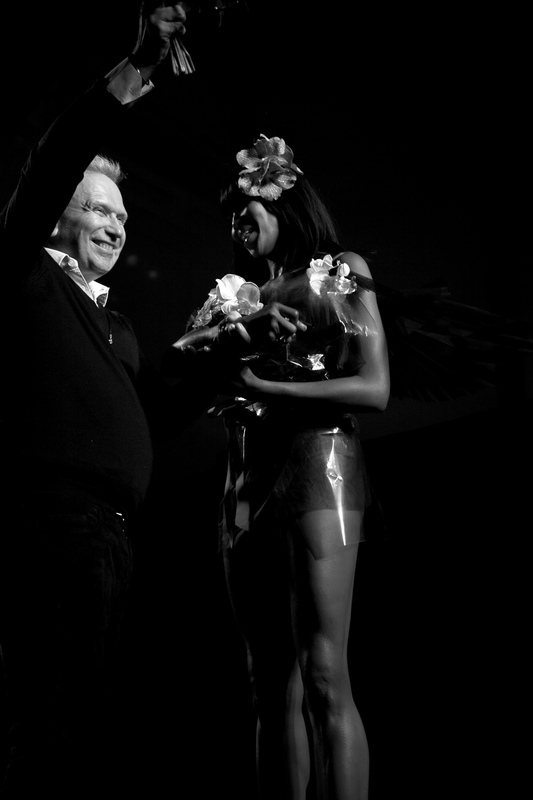 But to close he decided to do so with “The Bouquet” and who could it be but the iconic Naomi Campbell who must sleep on ice as she does not get old, she looks like it is 1990! She is 44! Just stunning, I guess all women we want to know some secrets besides graceful genetics. Here I share with you that special moment that Jean Paul always manages to create in his shows, specially in the “finales” between the surprise of who will close and how and his contagious joy we all can’t help but smile, specially when many collection where quite beautiful but a little dull on the music and rhythm, who said couture can’t be fun to! !